Bitcoin cash price started a nice upside move and traded above the $1,100 resistance against the US Dollar. There is a key ascending channel formed with support at $1,170 on the hourly chart of the BCH/USD pair (data feed from Kraken). The pair may correct a few points in the short term before it makes another upside move towards $1,220. Bitcoin cash price is trading nicely above $1,100 against the US Dollar. 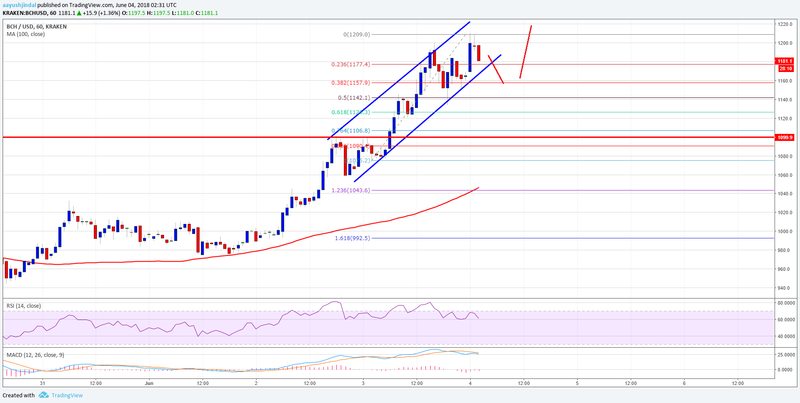 BCH/USD remains in an uptrend and it could eye an upside break above $1,200 in the near term. The past few sessions were pretty bullish as bitcoin cash price started an upside ride from the $1,040 swing low against the US Dollar. The price surged higher and broke many hurdles on the way up, including $1,100. It even managed to clear the $1,180 resistance and spiked above the $1,200 level. A high was formed at $1,209 before the price started a downside correction. An initial support is around the 23.2% Fib retracement level of the last wave from the $1,075 low to $1,209 high. There is also a key ascending channel formed with support at $1,170 on the hourly chart of the BCH/USD pair. The pair remains in an uptrend as long as the price $1,100 pivot level is intact. Below the channel support, the next support is near the 50% Fib retracement level of the last wave from the $1,075 low to $1,209 high at $1,142. However, any major correction from the current levels is less likely, especially below $1,140. Looking at the chart, the price is in a nice uptrend above $1,100. On the upside, the price could once again break the $1,200 barrier for more gains towards $1,250. Hourly MACD – The MACD for BCH/USD is signaling more upsides in the bullish zone. 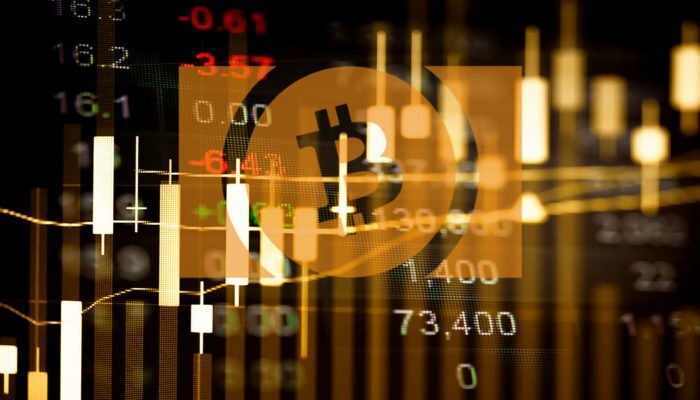 Hourly RSI (Relative Strength Index) – The RSI for BCH/USD is currently correcting lower towards the 55 level.